Preparation for the move has taken two years, during which time the museum’s Collections Team and volunteers have used over 700 acid-free boxes and 5,600 archival envelopes to package 595 shelves of historic volumes, documents, glass slides, maps, flags and photographs. The collection will share its new home with the Clore Learning Space; a flexible space for visiting schools, colleges, special interest groups and community groups. 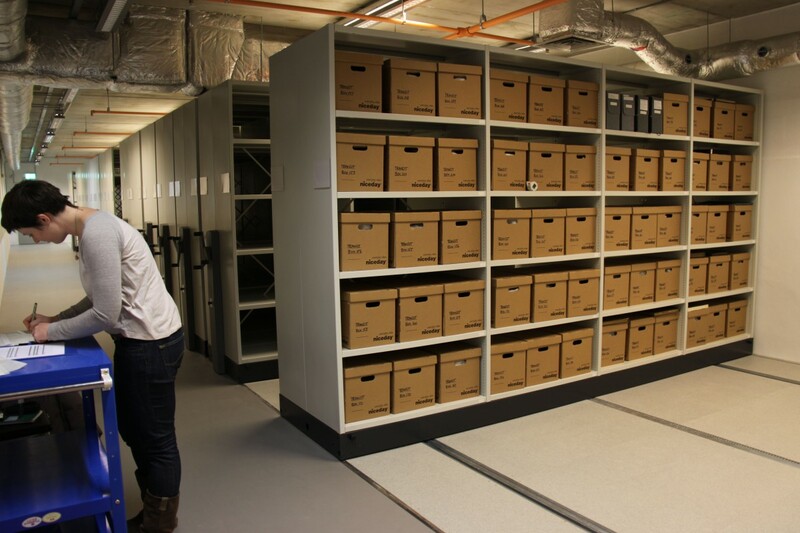 Collections Management Assistant Eleanor Mills checks off boxes as they arrive in the new archive facility. The high-spec space is temperature and humidity controlled. “The collection contains objects and documents that form the business archive of Cable & Wireless. This tells the story of Porthcurno, the telegraph and early wireless. That doesn’t just mean the ins and outs of the communication technology that shaped the world, but personal stories of the people involved. During its time as a training college, thousands of people have been through these doors and called Porthcurno home for a time. Many of them went on to be stationed all over the world, and this unique collection brings their stories to life.” Charlotte Dando, Collections Manager, Porthcurno Telegraph Museum. Archive records often illustrate the social life of students and staff at Porthcurno cable station. 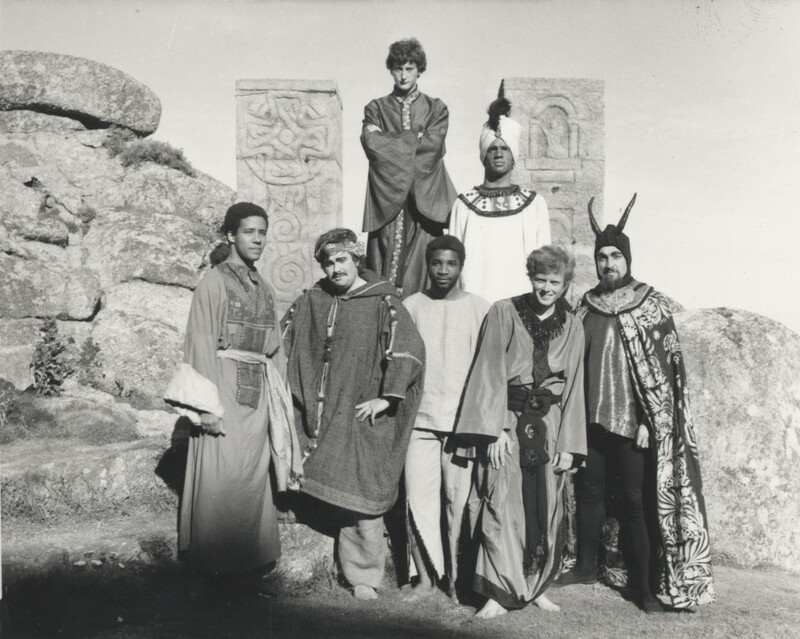 This photograph from 1968/1969 shows staff and students performing ‘Tobias and the Angel’ at the neighbouring Minack Theatre. Moving such an archive is a painstaking process. 7255 brand new records have been added to the archive database with a further 12,426 database records being modified and improved. Over 2,300 items which were previously un-located in the archive have also been recorded. All of this means that, once the archive re-opens again later this summer, the academics, family researchers and local historians who visit the archive will have much improved access to a collection which is recognised as being of national and international importance. “It is an extraordinary rarity to have an archive which is one hundred percent catalogued, because most archives, like ours, are acquiring new items and updating records as they learn more about the collection. There will still be a great deal of work to do once the archive has relocated, which means there will be volunteering opportunities for people who want to get hands on with a fascinating collection.” Charlotte Dando. “Archives can be a bit misunderstood. They are often seen as off-limits, or a bit scary for anyone who has never been to one before. But they are treasure troves for anyone interested in their local history or family history. The September open day will give people the opportunity to get closer to the collection, and find out how they can access the archive. I hope we can make more people aware of Porthcurno’s heritage and excited about archives in general.” Eleanor Mills.